Few things are more annoying than getting ready to leave for your Friday night date only to find that you have a blocked driveway due to discourteous parking. What can you do in such a situation? The team at B&M Towing in Rockaway Beach, NY, has a few suggestions that will help you resolve the problem as quickly as possible. There’s a big difference between a parked car extending a few inches into your driveway and one that has almost completely cut off your ability to leave your home. If someone’s car is barely encroaching on your driveway space, you can easily get out of your home without much trouble. If you know who parked their car in front of your driveway, another solution is to speak with the driver and politely ask them to move their car. In general, this is only recommended when you know the driver personally — such as a neighbor or a guest at your home. Chasing after strangers to talk about their bad parking job may cause issues. If someone has blocked your driveway and you have no way of resolving the problem on your own, your best option is to call a tow service. Many tow companies provide rapid, 24/7 service so you can clear your blocked driveway as soon as possible. Whether you have a blocked driveway or need to remove unregistered vehicles from private parking lots, the team at B&M Towing can help you fix the problem quickly. 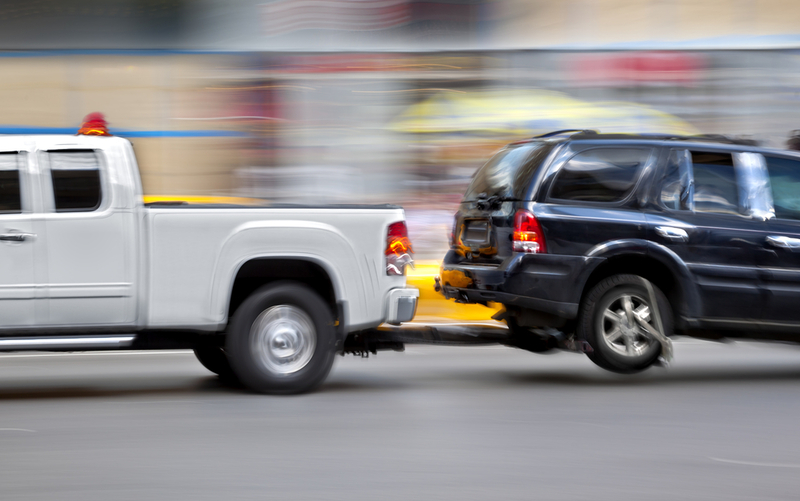 To request their 24-hour towing services, call (718) 318-1370. Like the company on Facebook to learn more about them.